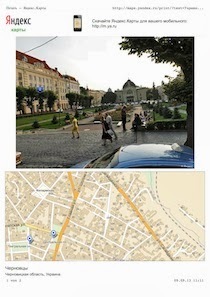 During the summer of 2016, I traveled to Rădăuţi, Romania, and visited the Archives in the Town Hall. After some negotiations and with a little bit of luck, I was given permission to photograph Jewish vital records for the Rădăuţi, Solca, and Vicov communities of Bukovina; see my blog posting "Books of Seven Seals in Rădăuți and Suceava". The first database resulting from these efforts is The Radautz Marriage Index Database. Every society enlarges itself through marriages. When you are tracing your family history, this information can offer one of the most common missing links – a maiden name. All marriage records include the full names of the bride and groom as well as the marriage date and other additional information, such as the names and birthplaces of each individual's parents. 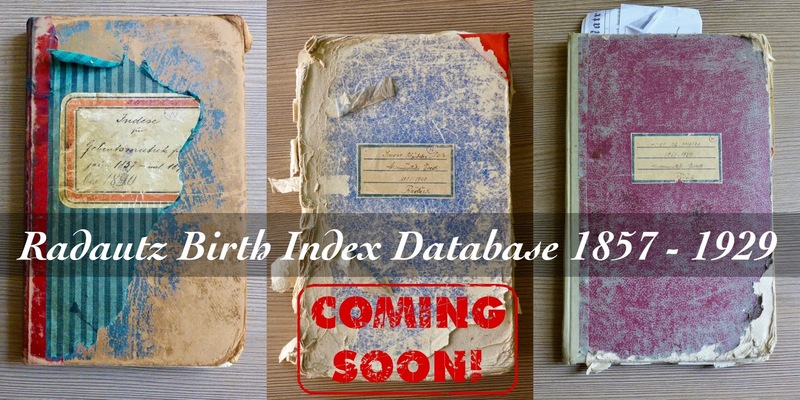 As part ONE of an ongoing project - birth & death records will come soon - The Radautz Marriage Index Database is a rich web resource for Jewish heritage in Bukovina. 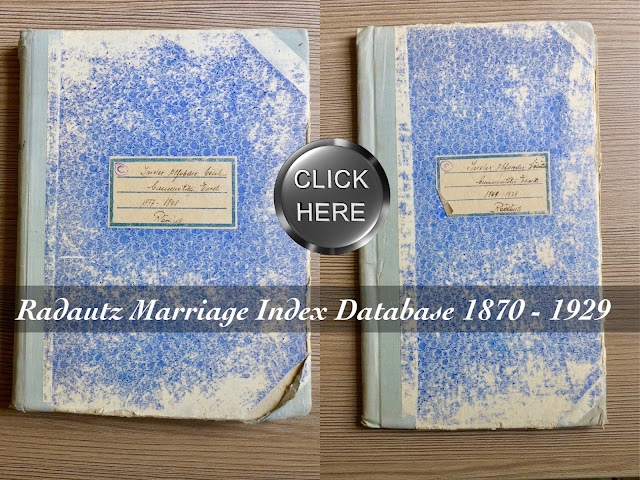 It contains over 3,000 properly indexed marriage records for the period 1870-1929. Copies of family marriage records are freely available upon request. NEW: Even if final, but not trivial at all, death records are among the most important of all vital records. Death Indices typically contain the birth date of a person, date of death, cause of death and other details that are helpful in genealogical and historical research. 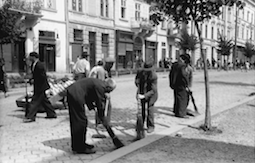 As part TWO of our ongoing project, The Radautz Death Index Database is a rich web resource for Jewish heritage in Bukovina. It contains over 7,500 properly indexed death records for the period 1857-1929; some data refer back to births as early as the middle of the 18th century. Copies of family death records are freely available upon request. Whether you are looking for an ancestor or trying to find a lost classmate, these records can provide a link to vital information and point you toward important clues. 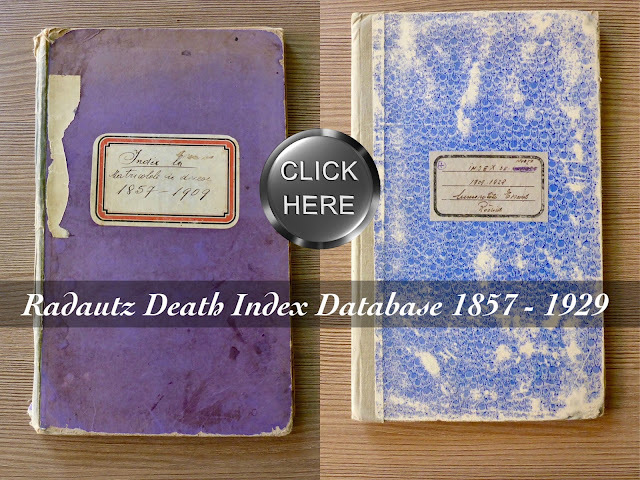 The free search provided by The Radautz Vital Records Index Database 1857-1929 can jumpstart your research project. Please check it out and let us have your comments…! Our thanks go to Martina Lelgemann, who took care of the transcription, and to Bruce Reisch, who developed The Radautz Marriages search engine and website. Lucas Reisch provided php search engine expertise. Thank you so much for this, looking forward to the rest. Thank you for this! I was able to find the marriage record for my 3x great grandfather and his second wife...but it confirmed an important piece of information for me. Records could help to complete and establish missing links of the family tree.